As Jerry ‘Moonbeam’ Brown finishes his ‘second’ two-term service at the helm of California. Yet again he has turned the once Golden State into a literal hell hole, that is burning like the pit of Gehenna. 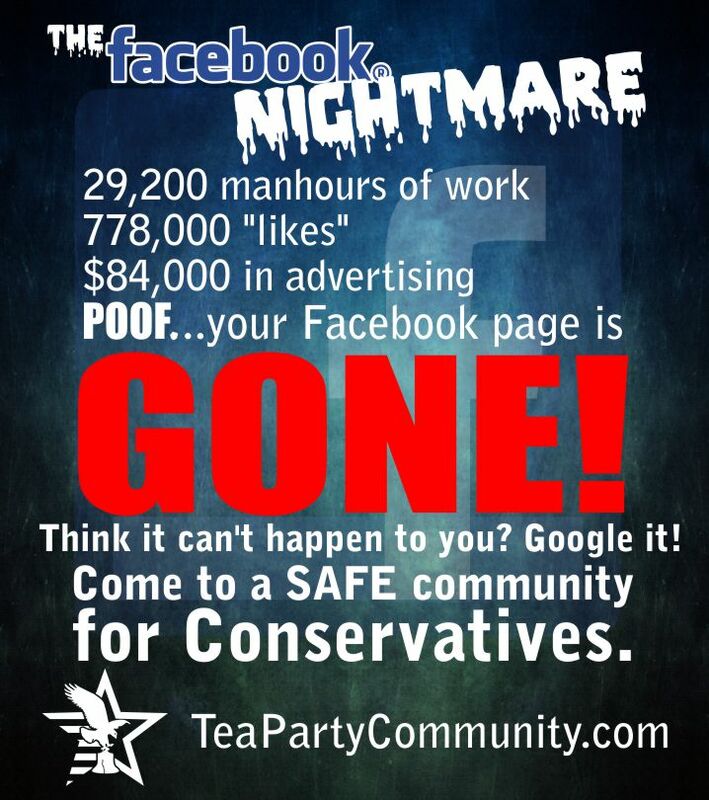 The downfall of this once great state did not happen overnight. 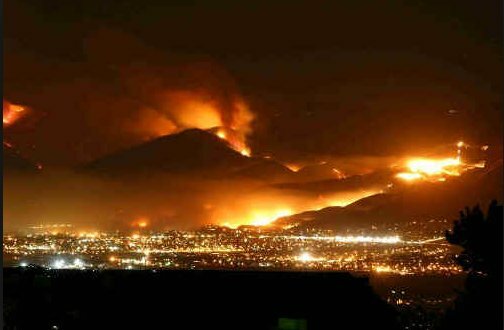 Years of radical Liberal activism, in conjunction with deranged Leftist policies, and compounded with anemic conservative opposition over the decades have allowed the state to become a raging inferno. Sonoma County dispatchers sent out fire crews to at least 10 different locations across the county over a 90-minute period starting at 9:22 pm to respond to 911 calls and other reports of sparking wires and problems with the county’s electrical system amid high winds. State fire officials said Tuesday that they are still investigating the cause of the blazes, which as of late Tuesday had killed 17 people and destroyed more than 2,000 homes in Sonoma, Napa and other Northern California counties. But the reports of the power equipment failures began to turn the spotlight on PG&E, the giant San Francisco-based utility, raising questions about how well it maintained its equipment in the area and whether it adequately cut back trees from power lines to reduce fire risk — as required by state law. Ironically, this is the same PG&E that in January of this year was found guilty for the massive San Bruno explosion that killed eight people and injured dozens in 2010. Subsequently, PG&E in turn unexpectedly raised its utility rates on its customers in February 2017. Then in another unsurprising move, PG&E has raised their rates on customers again this past November, to cover the costs of the Northern California wildfires. But get this: PG&E blocked legislation that could have prevented the fires. Both houses of California’s Legislature unanimously passed legislation to prevent this, yet Governor Brown vetoed it. 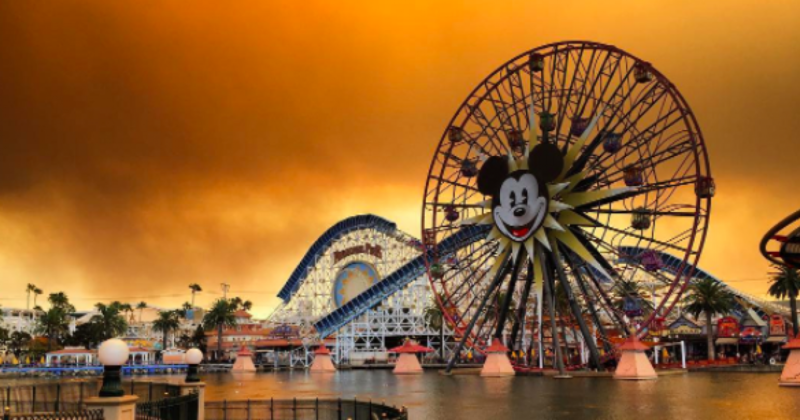 Whereas Los Angeles resembled a scene from a Hollywood disaster movie for nearly a month. And LA is expected to continue burning for at least another month. CAL FIRE reported four active large wildfires — 300 acres or more — burning across California as of early December. The worst wildfires have been in Northern California, where the death toll from several fires that tore through communities stands at 41. More than 5,700 structures have been destroyed. An increase in the number of dead and dying trees also can exacerbate the wildfire threat, Cal Fire officials said. An estimated 102 million trees have died in California due to the state’s five-year dry spell and bark beetle infestation. The media barely glanced over a report of a homeless encampment campfire as the leading perpetrator. 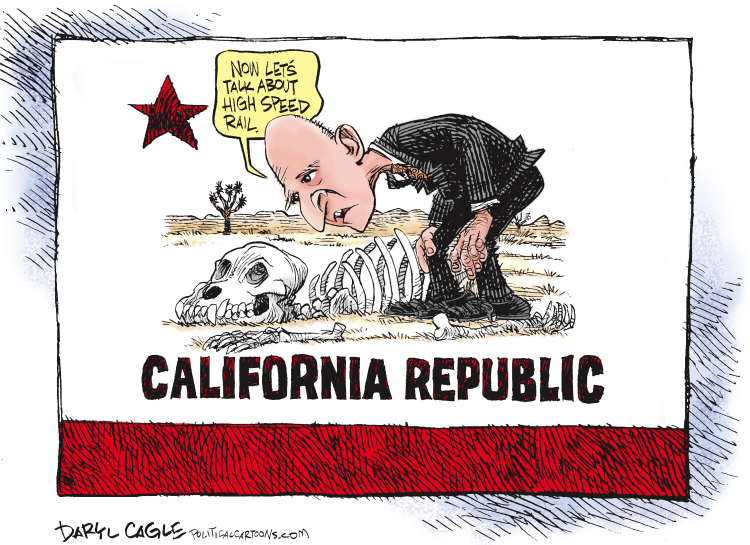 While, once again, Governor Brown deflects blame and responsibility. The thinning and removal of dead and sick trees in California’s forests has long been restricted. Years of inaction against the bark beetle infestation only exacerbated the impending crisis. Monetary bottom line comes before the people…period. And money over citizens prevails as the modus operandi of any Leftist bureaucracy. Such was the case when four firefighters died in 2001, because the nearest water source was home to endangered fish. But it’s always the taxpayers that are the ones left paying the bill for the government’s ineptitude. And where was Jerry Brown while California continued to burn and homeowners were losing their homes/properties? When he wasn’t pardoning convicted felons, he was in Paris advocating Climate Change!